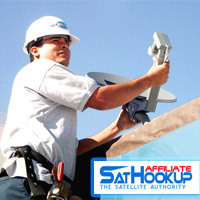 What is SatHookup SatHookup is an extensive network of local satellite tv (Dish Network, Directv, FTA), satellite Internet and home theater installers and local providers across the 48 continental United States. We are made of the small businesses and entrepreneurs that make up the fabric of future prosperity. SatHookup is seeking established individuals to work locally providing satellite, cable and home theater repair and installation services. 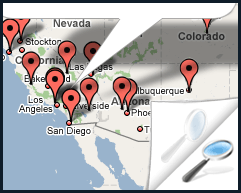 Looking to partner with small businesses and organizations to provide sales affiliate opportunities with tv, internet, and phone communication products nationwide. We service Big Clients such as Hooters, Universal Music, Warner Brothers, Dole and many other commercial installations to small business and residential customers in your community. 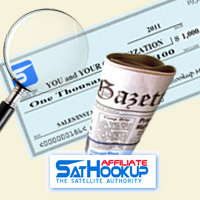 See bellow for ways you can work with SatHookup and the SatHookup Network. Are you licensed and operating as a satellite installer or home theater technician but are looking for more work? 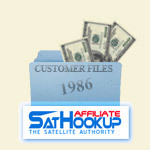 SatHookup gets close to 10,000 visitors each month looking for local installers for repairs and custom installation.